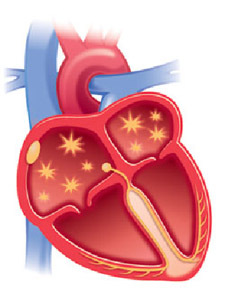 There are many substances that may affect the electrical system of the heart and change its ability to pump blood effectively throughout the body. 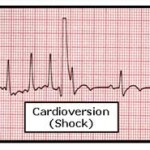 Many prescription, over-the-counter and illegal drugs, as well as tobacco, certain foods, alcohol and other substances, may affect the heart’s electrical signals that trigger it to beat. Caffeine is the most common substance around that is linked with an abnormal heart rhythm (arrhythmia). Some individuals feel heart palpitations (fast heartbeats) when they drink tea, coffee or eat chocolate. Red wine, onions and binge eating can also bring about symptoms. These rhythm problems are not often serious. 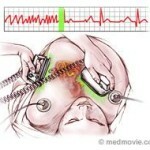 Abusing illegal or legal drugs can lead to dangerous arrhythmias. Small quantities (ie. no more than one drink a day) of alcohol has been shown to lower the risk of heart problems and increase good cholesterol (HDL cholesterol). But for some individuals, alcohol can cause heart rhythm disturbances. Alcohol abuse is a high risk factor for cardiomyopathy (weak heart muscle), high blood pressure, stroke and heart failure. Tobacco from cigarettes cause more blood vessel and heart disease, heart-related deaths and strokes than all illegal drugs combined. Tobacco contributes to over 1/3 of all heart diseases. Some herbs and other substances used in OTC remedies are believed to improve abnormal heart rhythms. 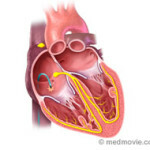 Others can worsen them and/or interfere with heart medications. Diet pills have the potential to be especially dangerous. Patients are encouraged to talk to a healthcare provider before taking any supplement or medication. While most medications that are prescribed by doctors are beneficial to one’s health, some cause serious side effects. Certain medications that are commonly prescribed for heart disease, high blood pressure or even arrhythmias can themselves cause problems, including disturbances to the heart rhythm. Patients should watch closely for symptoms and discuss any changes with their healthcare provider or doctor. There are many substances in the environment can cause heart disease, arrhythmias, and death. In general, individuals with the greatest risk are those who come into contact or handle dangerous substances in the workplace. Some substances that cause problems are: cigarette smoke, automobile emissions, paint thinners, pollution from industrial plants, and propane gas.